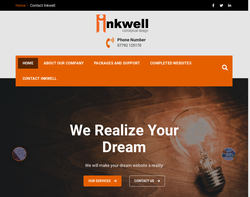 Web design, web development, e-commerce, domains and hosting. 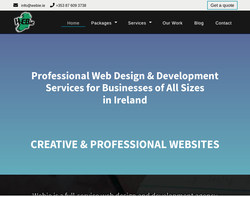 Web design and development for small/medium enterprises. 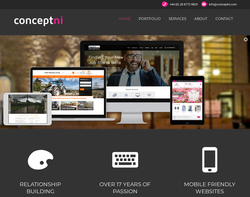 Web design, web redesign, CMS, e-commerce and logo design. 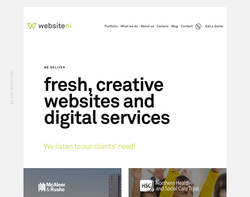 I provide web solutions for various types of individuals, businesses and organisations throughout the UK, Ireland & the America. I am passionate about web design and web development, with a particular expertise in Joomla based web sites. Some organisations and peopleI have worked for include include American Rock Band Limp Bizkit, comedian Keith Law & GMTV newsreader - Sonia Butterworth. Other organisations include Donegal Aiport, Belfast based recruitment agency VanRath, Scottish based kilt manufacturer RG Hardie and have completed projects through subcontracts from various other web companies and studios. My work has been featured in various national newspapers and publications including the New York Times, The Irish News, Official Xbox Magazine and has been featured on BBC Radio, and GMTV News.